At our house we are up at 6:00am and done with breakfast by 6:45. The girls are ready for a snack around 9ish. What to eat? Instead of serving goldfish or pretzels along side their fruit I love having these on hand. I have found that my children will eat anything if it is shaped like a mini donut. These are also great to throw in a lunch box and take on the road! I usually double the batch and freeze some in ziploc bags. Mini muffin tins work fine but the donut pans make this recipe fun! See the amazon store tab for the link to the donut pans! 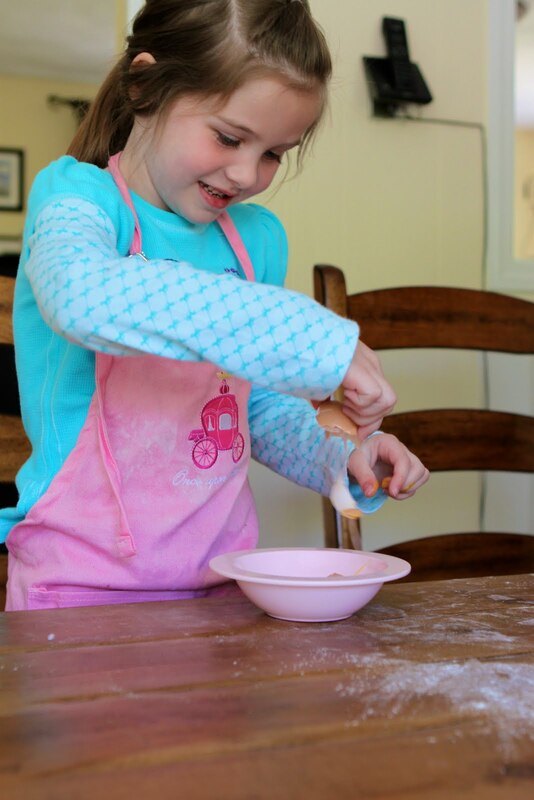 *It is much quicker to mix these up and bake them after the kids go to sleep because really the whole recipe takes about 30 minutes from start to finish. On this particular day, I had "helpers." In a large bowl, combine flour, baking soda and salt. In a separate bowl, cream together butter and brown sugar. Stir in vanilla, eggs and mashed bananas until well blended. Stir banana mixture into flour mixture; stir just to moisten. Fold in chocolate chips. Pour batter into prepared donut pans. Bake in preheated oven for 8-10 minutes, until a toothpick inserted into center of a donut comes out clean. Let donuts cool in pan for 10 minutes, then turn gently lift them out using a butter knife. 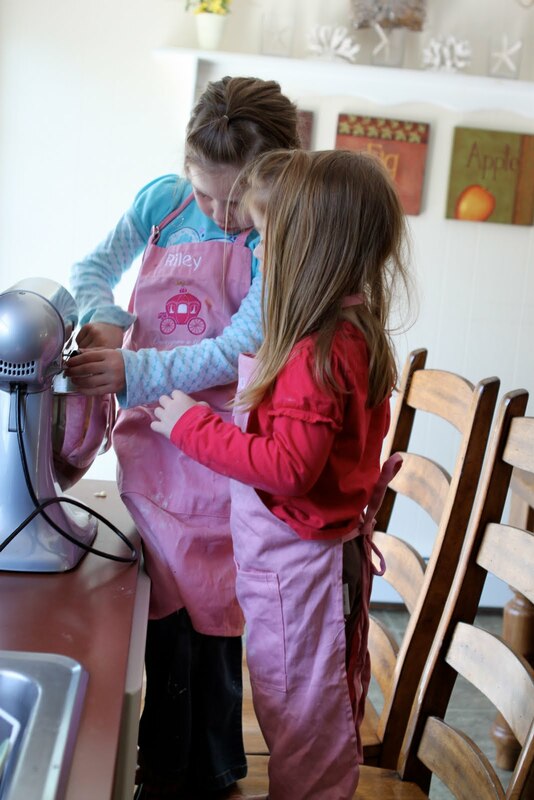 You're never too young for a kitchen aid lesson. I searched high and low for these mini-donut pans. I have 2 but need 3! This way I only need to bake 1 batch. 36 donuts...done in 10 minutes! These look yummy. We're going on vacation with family and there will be lots of kids to feed. These will be great for breakfast/snack. Thanks!!! Copyright © PrepAhead and Dine In: banana chocolate chip mini donuts. All Rights Reserved.